Each one is a true masterpiece of confectionary construction. It’s that time of year in Sonoma Valley. Trees turn to lollipops, fence posts become candy canes, buildings seem born of gingerbread, and the streets are lined with colored frosting and jellybeans. Yes, it’s time for the 10th Annual Sonoma Valley Gingerbread House Contest. What started as a friendly rivalry between local vintners, has evolved into a not-so-serious, but definitely determined, competition. There are a couple of ways you can get in on the fun, and possibly win a case of Sonoma Valley wine. Option 1: Visit the wineries, see their sweet masterpieces, and vote in person. This is the most fun way. Votes cast at the wineries will be entered into one of two drawings to win a cases of wine. Option 2: Vote for your favorite by clicking here. 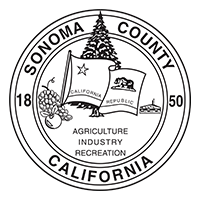 Once you register and vote, you’re automatically entered in the second sweepstakes for another case of Sonoma Valley wine. Benziger Family Winery – Click here to Vote! B.R. Cohn – Click here to Vote! BRYTER Estates – Click here to Vote! Buena Vista Winery – Click here to Vote! Chateau St. Jean – Click here to Vote! Hamel Family Wines – Click here to Vote! Imagery Estate Winery – Click here to Vote! Larson Family Winery– Click here to Vote! Madrone Vineyards Estate – Click here to Vote! Muscardini Cellars – Click here to Vote! If you plan on visiting to view and vote for your favorite creation, be sure to download this handy guide to all the contest participants. And happy Gingerbread House Hunting.